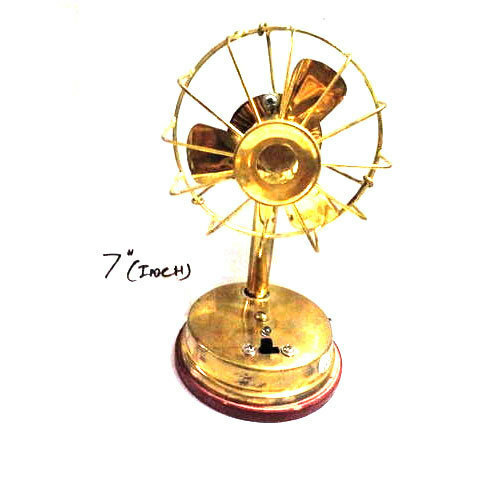 Amongst the chief organizations of this domain, we are occupied in providing Brass Table Fan to our clients, which is highly demanded in the market. Established in the year of 2016, G R Enterprises is the leading manufacturer, wholesaler and trader of Brass Statue, Vastu Yantra, Light Lamp, Copper Bottle, Decorative Wooden Box and much more. We offer these to our customers at market leading rates. Immensely acclaimed in the industry owing to their preciseness, these are presented by us in standard forms to our clients. These presented by us in various provisions, these are inspected sternly to retain their optimum quality.